June 2013 saw the highly anticipated arrival of the first, one-night only exhibition of London Visual Arts – LoVArts. The show, titled ‘Chaos Control’, brings together a choice selection of works from talented, up & coming, London-based visual artists. 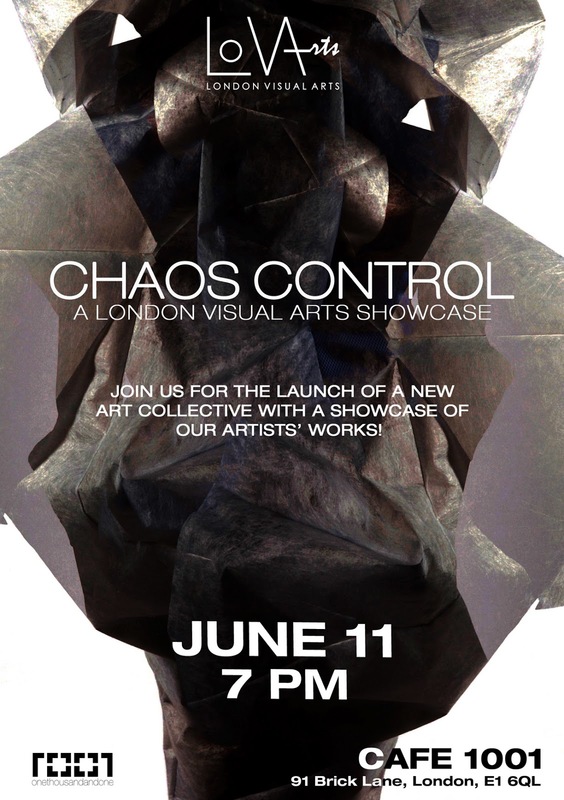 ‘Chaos Control’, was shown on June 11th 2013 (7pm-11.30pm) at Café 1001 on East London’s legendary Brick Lane. From the many mediums and artists in conjunction with the beauty of their individual and collective art stems the title of the exhibition ‘Chaos Control’. The one night show drew nearly 800 visitors to Brick Lane to view the spectacular mix or artistic mediums including photography, painting, film, fashion, installation, graphic design, illustration, and jewellery. The exhibition was listed in the TOP10 events in London that day and received great media coverage.